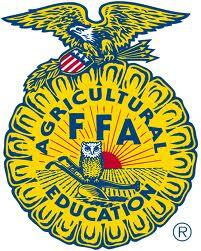 Each member receives points for all FFA events they participate in during the progress of the year. Every member is required to attend at least one contest, complete a record book, and assist with the fundraisers. A member can gather a total amount of points to be used for awards, trips, scholarships, and incentive trips. The main award at banquet will be Top 10 FFA members and Top member in each class. At the end of each semester we will have a Top 25 prize of $25 for their hard work and dedication.